Kappil Beach, 671319, Bekal, Kerala, INDIA. 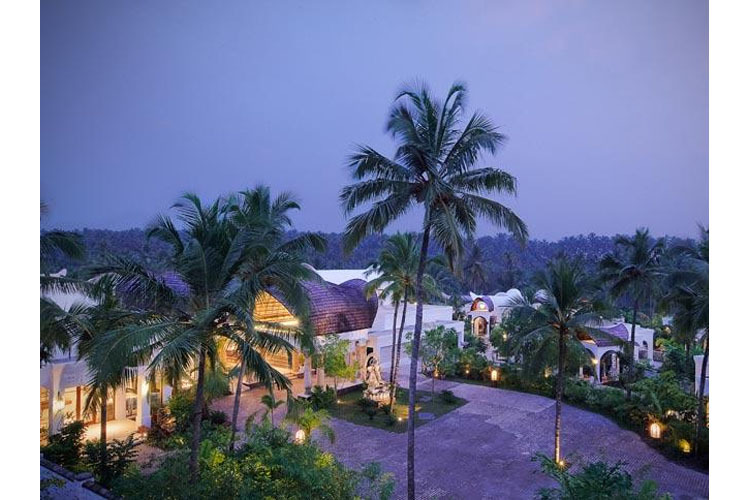 Located on a beautiful bend of the Kappil river, and surrounded by 26 acres of lush tropical garden landscape, Vivanta by Taj - Bekal is a luxury boutique resort, featuring uniquely designed villas inspired by the design of Kettuvallam house boats. This fabulous property offers five-star accommodation, great food and a fabulous range of bespoke services and facilities in an idyllic riverside setting. 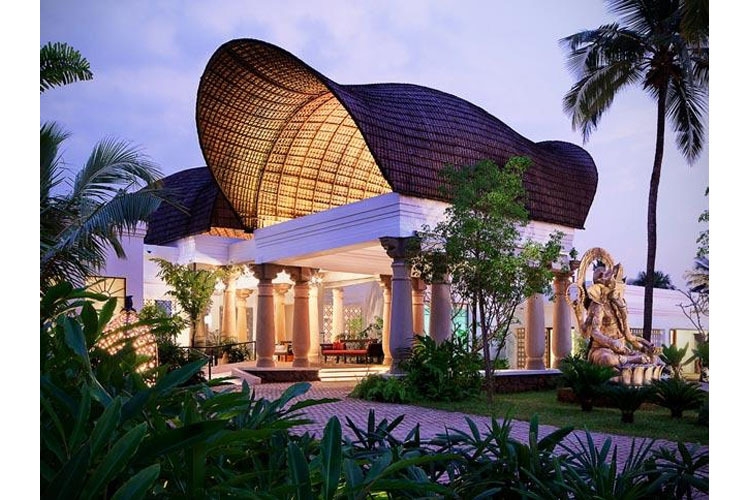 Ideally placed for visiting this beautiful corner of northern Kerala, Vivanta by Taj - Bekal is close to some of the region's most important landmarks and attractions, including the spectacular giant keyhole-shaped Bekal fort, and of course the famous Bekal Beach. Activities available from the resort include kayaking on the river, archery and cycling. 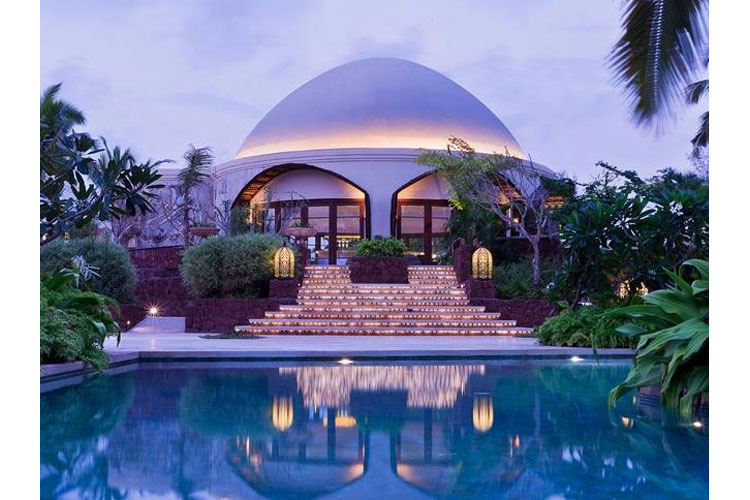 The resort of course boasts a large outdoor pool for refreshing dips, and guests can also take advantage of the immense riverside Jiva Grande Spa, which features Yoga tuition, Ayurveda, spiritual retreats and Indian rejuvenation therapies along with recreation and meditation spaces and a range of water treatments. Vivanta by Taj - Bekal is home to a number of unique dining venues, including Latitude - the multi cuisine restaurant, with the accent on regional Kerala cuisine; BBQ by the pool - where grills add to the outdoor sensations, and the Ivory Bar, where Bekal's most imaginative cocktails, snacks and tapas come alive in the chic, elegant atmosphere of the domed lounge bar. 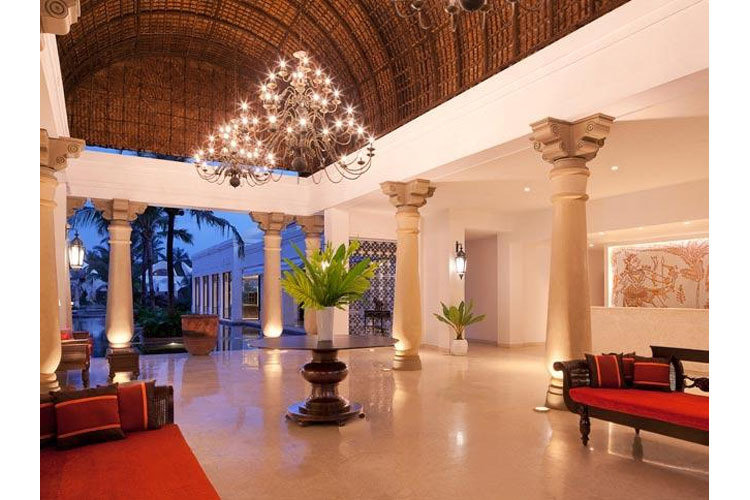 These spacious rooms are fully equipped, with both leisure and corporate travellers in mind. 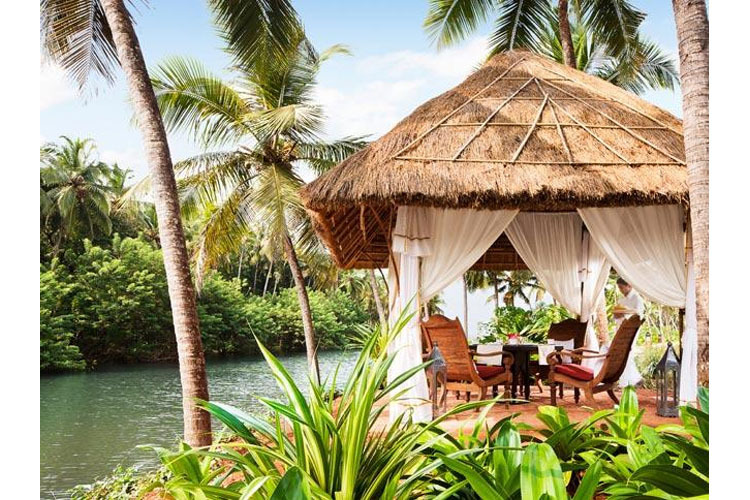 Guests will be charmed by the large terrace that offers a panoramic view of the beautiful backwaters and Balinese style landscaped gardens. Amazing Chitra Pothi art tells a story on the walls. And the stylish bathrooms beckon with walk-in showers. 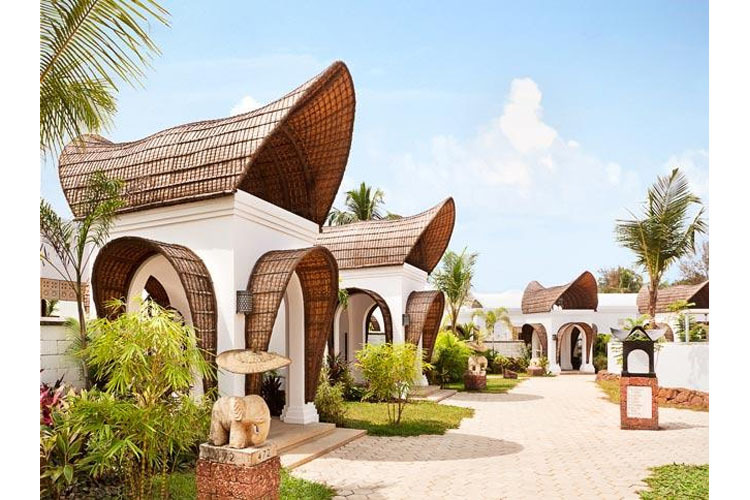 All rooms in this category have international direct dial facility, a mini-bar, tea/coffee maker, 24-hour room service, and television with satellite channels. Room size 31 sq m plus 12 sq m terrace. These charming rooms offer a day bed in a private courtyard, and are fully equipped with both leisure and corporate guests in mind. 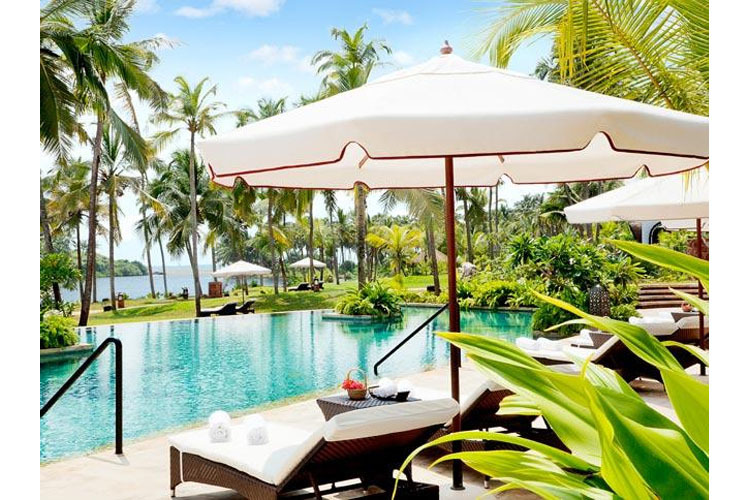 They feature a large private courtyard that offers a panoramic view of the beautiful backwaters and Balinese style landscaped gardens. 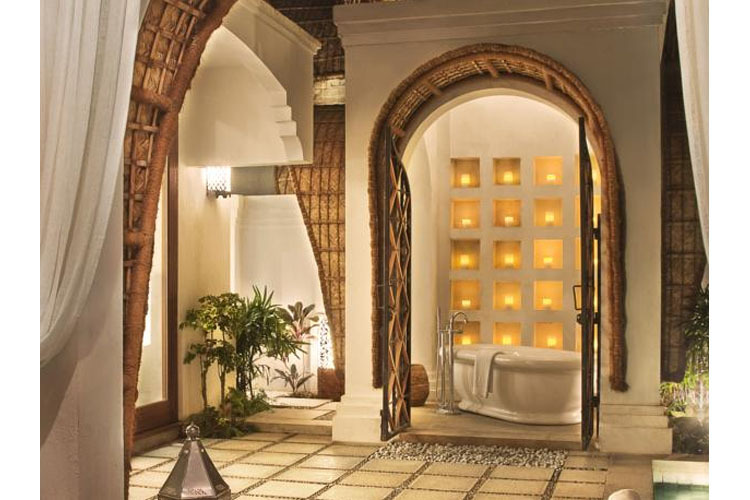 Amazing Chitra Pothi art adorns the walls, and the stylish bathrooms beckon with walk-in showers. They have international direct dial facility, a mini-bar, tea/coffee maker, 24-hour room service, television with satellite programmes. Room size 31 sq m plus 21 sq m private courtyard. 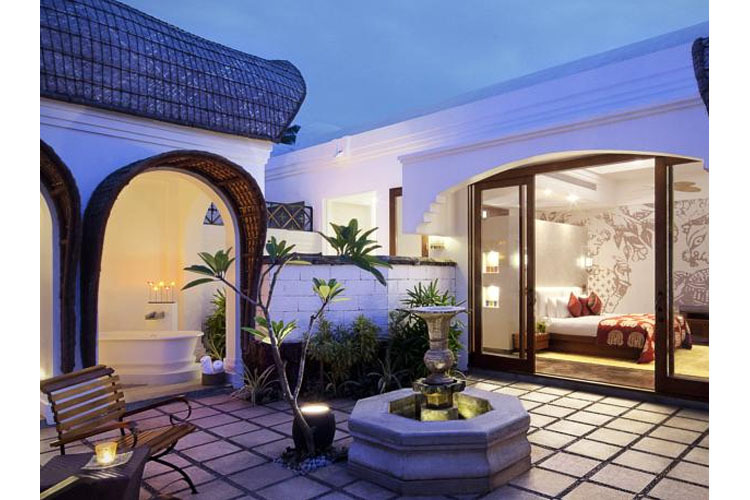 These spectacular rooms offer an enormous private courtyard with outdoor showers, a large tub, day bed and a stylish fountain leading to the spacious rooms. Deluxe Delight Rooms with courtyard are fully equpped with both leisure and corporate travellers in mind. 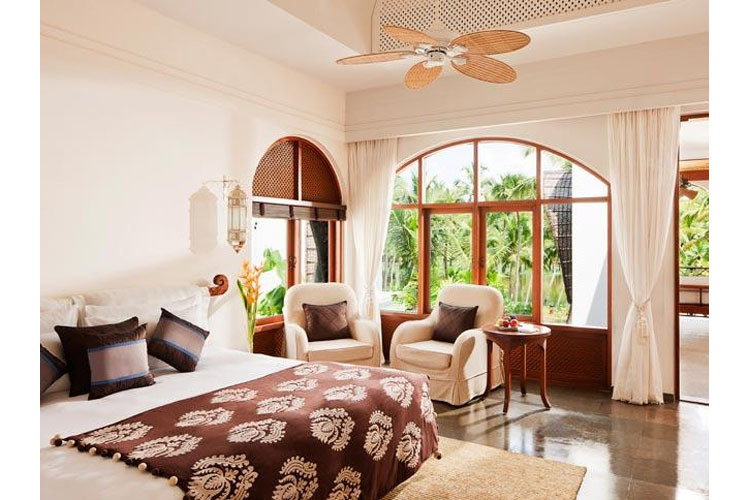 The rooms are elegantly styled, featuring central air-conditioning and an international direct dial facility, a mini-bar, tea/coffee maker, 24-hour room service, television with satellite programmes and a state of the art intelligent home panel system. Room size 44 sq m plus 57 sq m courtyard. 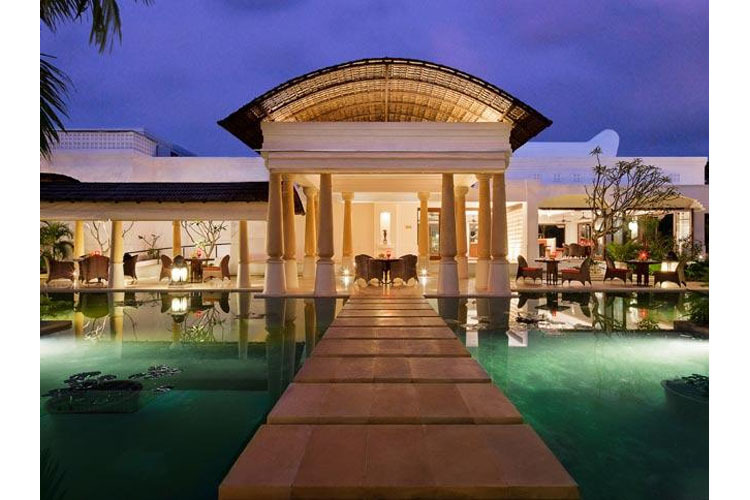 These spectacular rooms feature a private plunge pool and a private courtyard with outdoor showers, a large tub, day bed and a stylish fountain leading to the spacious rooms. Chitra Pothi art brings the walls alive with tales. Deluxe Delight Rooms with plunge pool are fully equipped for both business and leisure travellers. They are centrally air-conditioned with international direct dial facility, have a mini-bar, tea/coffee maker, 24-hour room service, television with satellite programmes and a state of the art intelligent home panel system. Room size 44 sq m plus 38 sq m courtyard. 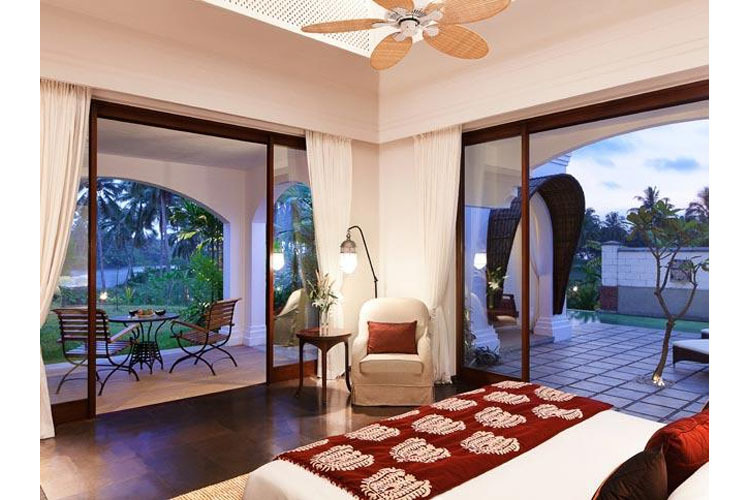 These even more spacious rooms feature a large private courtyard with a plunge pool, outdoor showers, a large tub, day bed and a stylish fountain leading into these spacious rooms. Fully equipped for both business and pleasure, they are centrally air-conditioned with international direct dial facility, and come with a mini-bar, tea/coffee maker, 24-hour room service, television with satellite programmes and a state of the art intelligent home panel system. Room size 44 sq m plus 57 sq m courtyard. Airport transfers are available on prior request. Charges apply. Languages spoken: Kannada, Malayalam, Punjabi, Tamil, Telugu, English. Smoking policy: No preference. 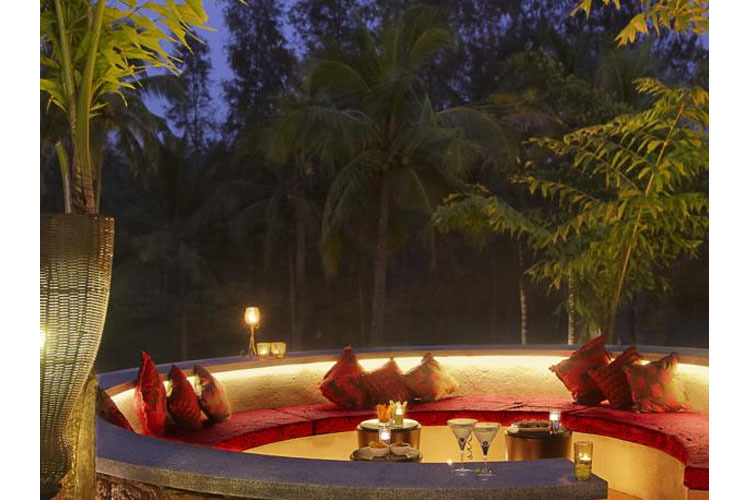 Under Indian national law, smoking is restricted in hotels and restaurants. Restaurant closed: Restaurants are open from 11:00am. to 22:00pm. Nearest airport: Mangalore International Airport - 73,9 km. Beach Kappil Beach: 200 mtrs. 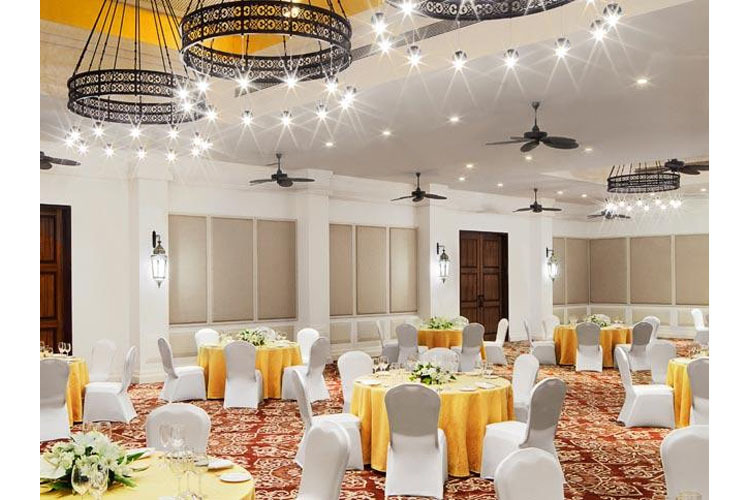 Meeting room up to 300 Pers.